In reviewing the final numbers and charts from Etienne and Pierre, above are the results we see. 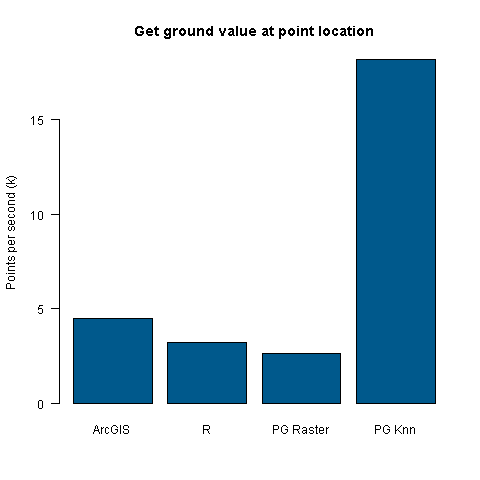 The only revision is a moderate increase in speed for the PG Raster query. Final results in speed for lastools– ~350,000 points per second. In other words– off-the-charts fast. And the initial RMSE of ~25 feet was a mistake– it is probably closer to 0.2 feet. Stay tuned for detailed reviews of these techniques (with code).